Earlier this month, a cardboard box was delivered from Auckland to the Arts Access Aotearoa office in Wellington. When we opened it, I was blown away by the beautiful quilt we unfolded, made with care, pride and aroha, as it told the prisoners’ stories. Thank you, Quilt-Stitch Group, for providing this Between Quilt for our fundraising Awesome Arts Access Auction on Thursday 1 December. 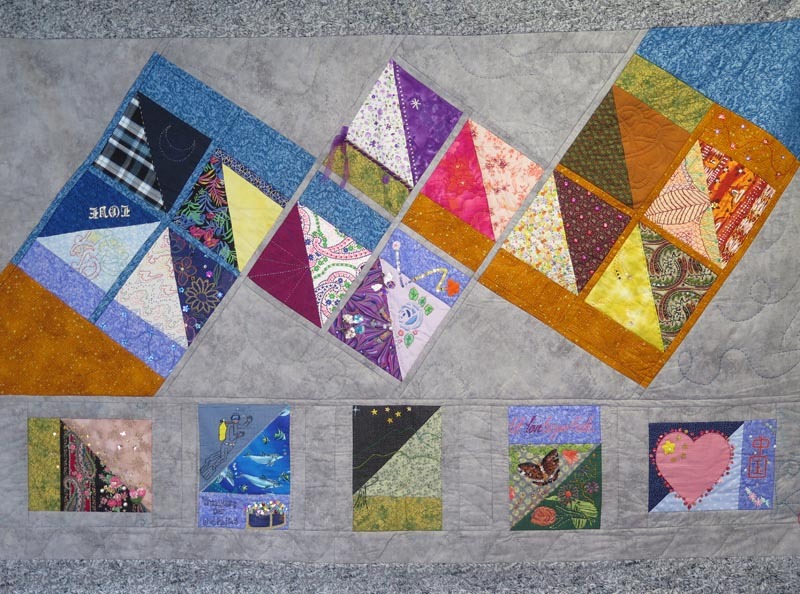 Made by prisoners at Auckland Region Women’s Corrections Facility as part of the Quilt-Stitch Group, Between Quilt (140cm by 184cm) reflects the “between” that is prison life. The book that accompanies the quilt explains that the women see themselves between “who we were and who we will be”. Between dark and light, good and bad, right and wrong, today and tomorrow, in and out, past and future. You can read more about this quilt’s journey in the article Prisoners’ quilt an auction highlight. At Arts Access Aotearoa, we are keen to see the arts and creativity in any form – quilting and crafts, theatre, music, dance, creative writing – assist the rehabilitation of prisoners and help them discover their creative potential. Ultimately, this can also support reintegration opportunities in employment, education and community support networks. My early training as a teacher was in what is now called “applied theatre”. 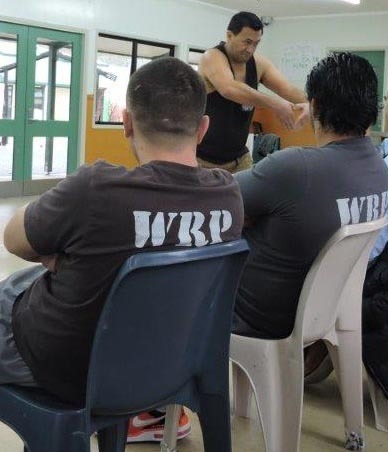 Last year, Arts Access Aotearoa partnered with The University of Auckland’s Creative Thinking Project and Critical Research Unit in applied theatre and helped set up the performing arts programme running at Northland Region Corrections Facility. Using techniques and protocols found in theatre for teaching or therapeutic purposes can have a powerful effect on individuals and populations. This excellent New Zealand Herald article explains more. The one-man show Shot Bro, written and performed by Rob Mokaraka, confronts serious mental health issues and resonated with prisoners in Rimutaka Prison when Rob performed it there in September. I was also pleased to see Shot Bro at BATS Theatre in Wellington last month. With great courage and honesty, Rob shared his own story of depression with the audience – a number of whom said they also belonged to the “secret club” that is depression in the after-show conversation. Given the number of prisoners with lived experience of mental illness, I believe Shot Bro has the potential to be developed into an innovative and safe project to help address the mental health needs of prisoners. 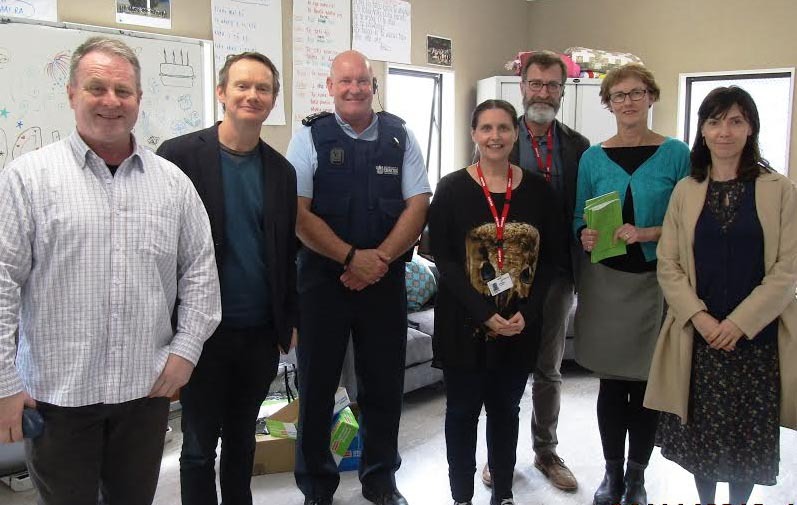 I was also pleased to attend the graduation of women in Arohata Prison from a creative writing course, run over ten weeks by Pip Adam and William Brandt. This too was about telling stories and I believe creative writing – whether it’s poetry, prose or playwriting – can help reach a part of ourselves that other methods may not be able to reach. The standard of delivery achieved by William and Pippa, who are published writers and teach at the International Institute of Modern Letters at Victoria University, provided a unique opportunity for the prisoners, who clearly appreciated the opportunity. Similar courses are conducted in other countries such as Australia and the UK. At this graduation event, several Corrections officers and the Prison Director, Chris Burns, were in attendance. Their concern for the welfare of these women and the pride in their achievements were obvious. They want these women to turn their lives around and appreciate the value of the arts and creativity to support their rehabilitation. Arohata Prison has developed strong links with the community and I applaud its forward-thinking approach to rehabilitation. Original generation time 1.5486 seconds. Cache Loaded in: 0.0496 seconds.